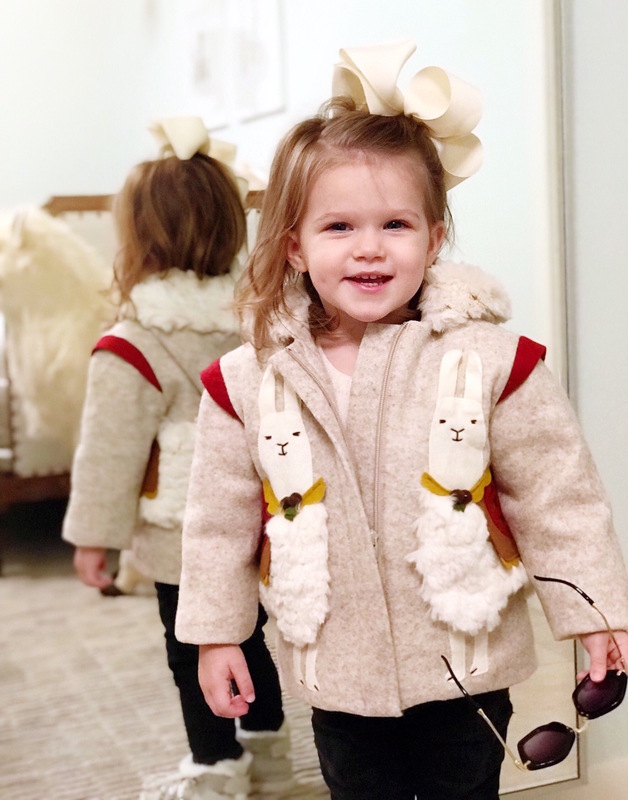 Just when I thought kids clothes couldn’t get any cuter, Little Goodall created this precious llama coat that Birdie loves. She looks in the mirror and stares at her outfit – she knows she looks good! Haha! She wore her new favorite coat with black jeans and chic black sunglasses (Birdie is still loving accessories just like her mom). 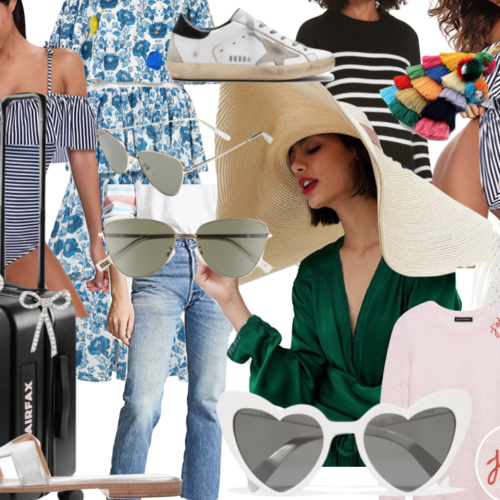 To see more of Birdie’s Sidewalk Style looks, click here!